Typetester – Test, compare and design with more than 2.200 web fonts. 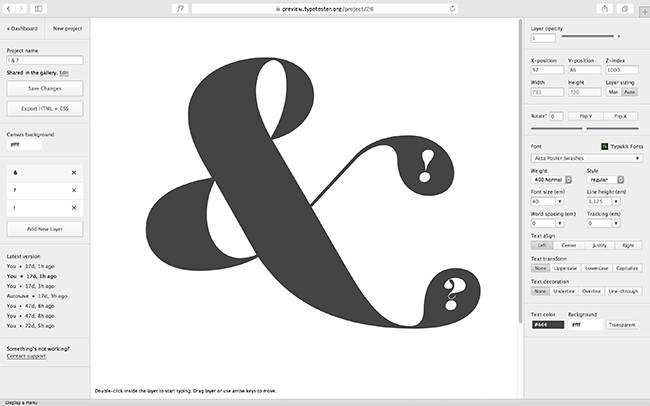 One of the most popular applications for web designers is now a full-blown typography editor. Typetester classic that is known and loved by all is still online! 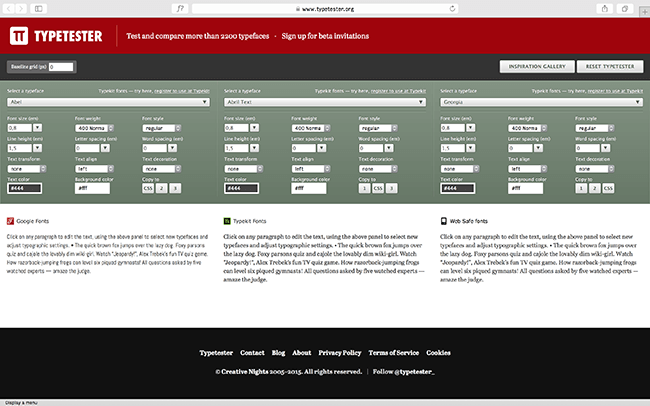 Test and compare more than 2800 web fonts. Test, compare, select and design with over 2800 web fonts from Adobe Edge, Adobe Typekit and Google Fonts. Export your designs as fully responsive HTML and CSS snippets. Where better to preview your design, than in the browser. No more inconsistencies when rendering fonts in your graphical editor and browser(s) of choice. Export your designs as HTML and CSS. We’ll prepare a responsive CSS snippet that you can tweak to your hearts content or share with your front-end developer. 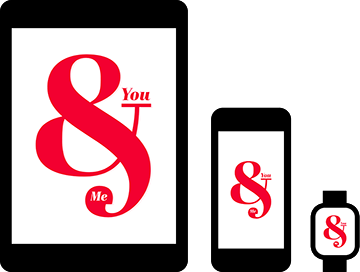 Fully responsive typographic designs that adapt to the size of the screen and retain their proportions. The same as an image, only far more accessible. 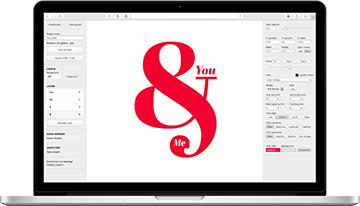 Pick a design you like and start editing to see Typetester in action. It’s Time for Better Typography! Web designers have come a long way in designing for legibility and readability, but there’s still plenty of room to delight your visitors with expressive typography.